A day after a brief rain storm. Mt. Baldy has some snow on it for a few days too. 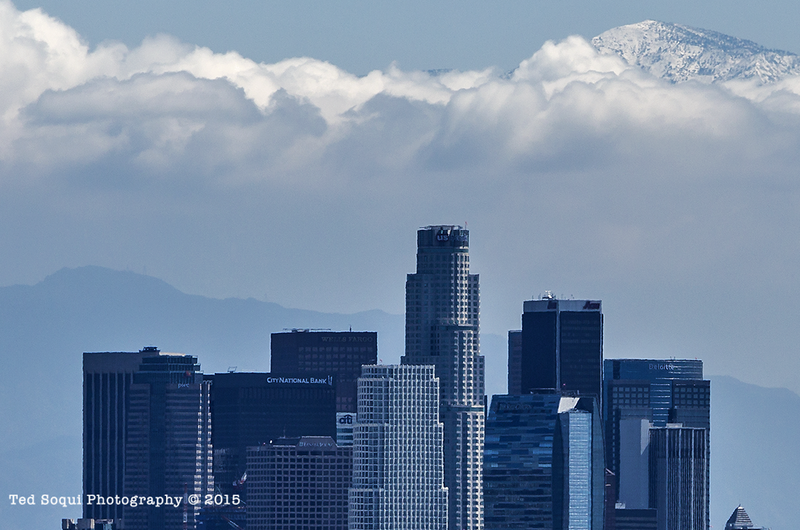 Downtown with snow capped Mt. Baldy.